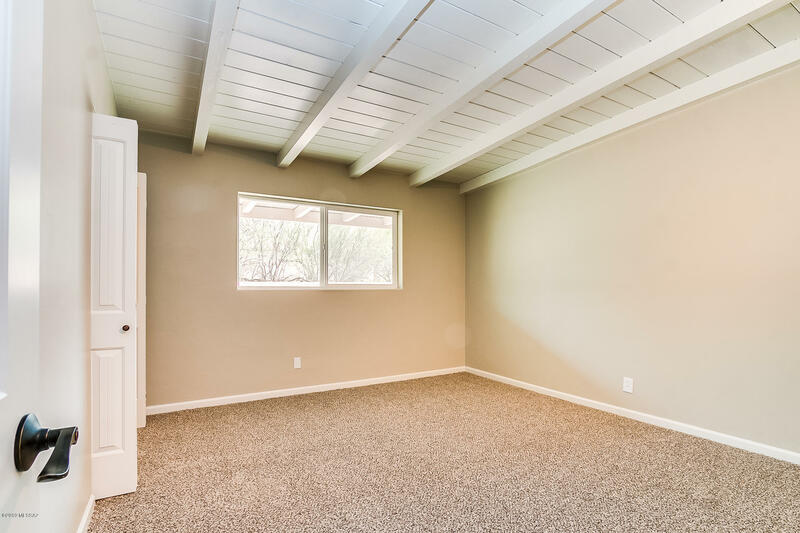 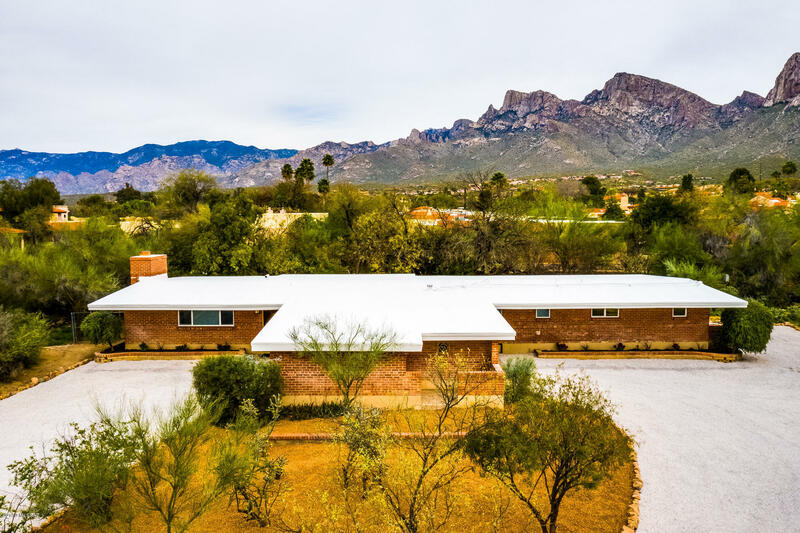 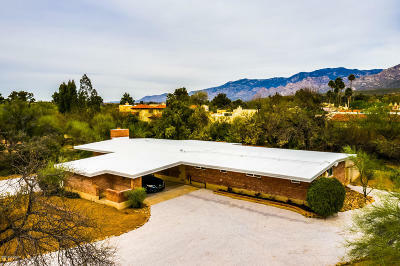 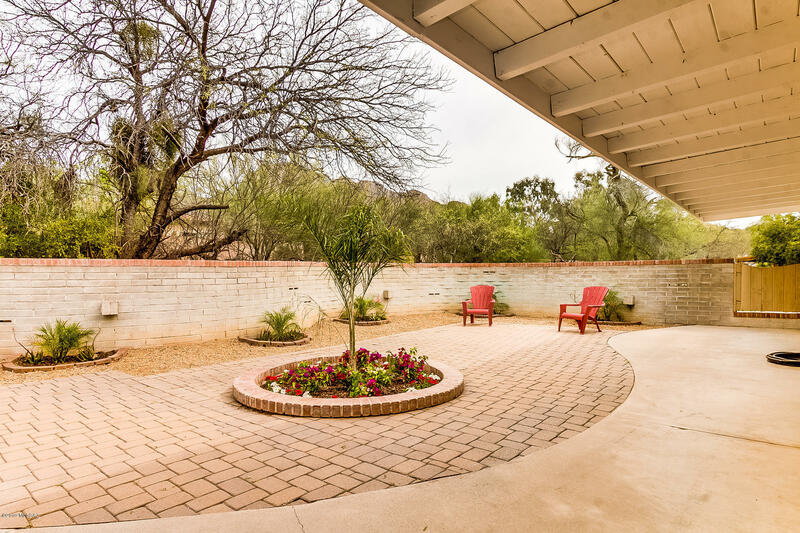 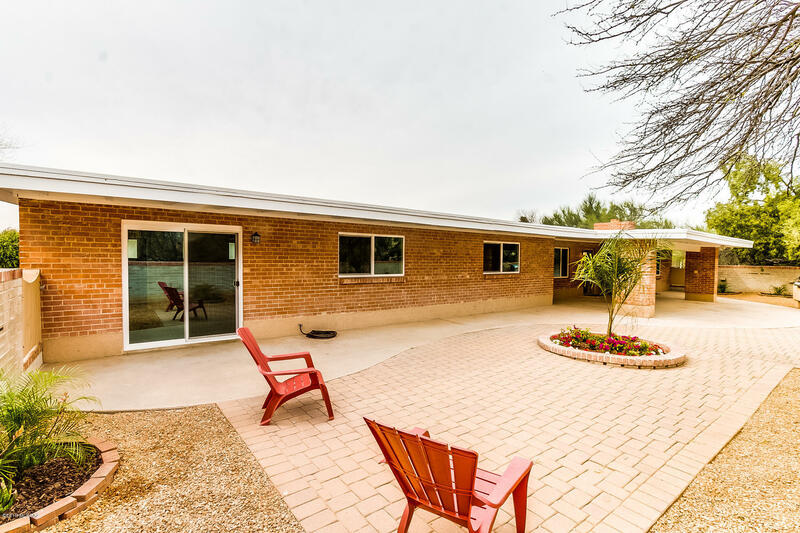 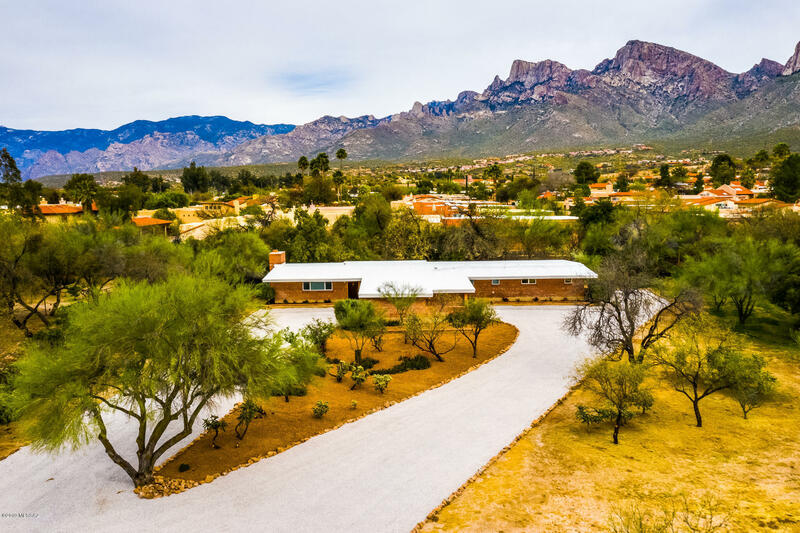 Gorgeous updated home in the heart of Oro Valley Estates, across the street from the club house and golf course. 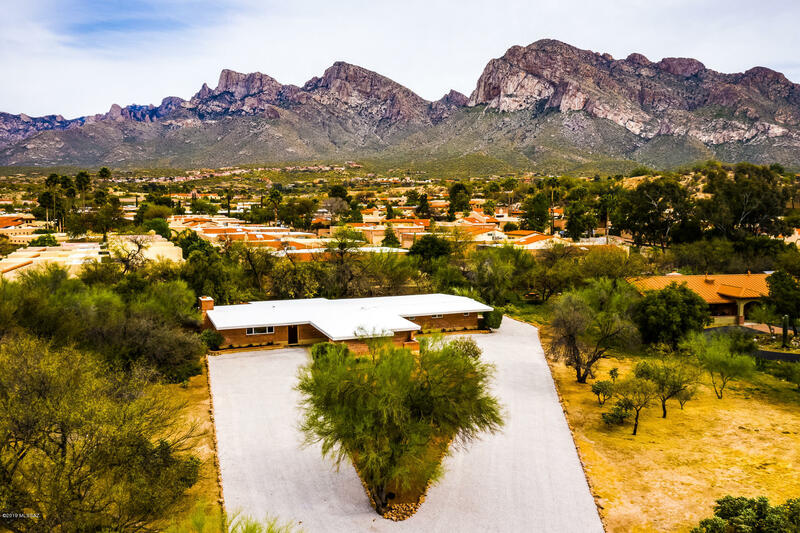 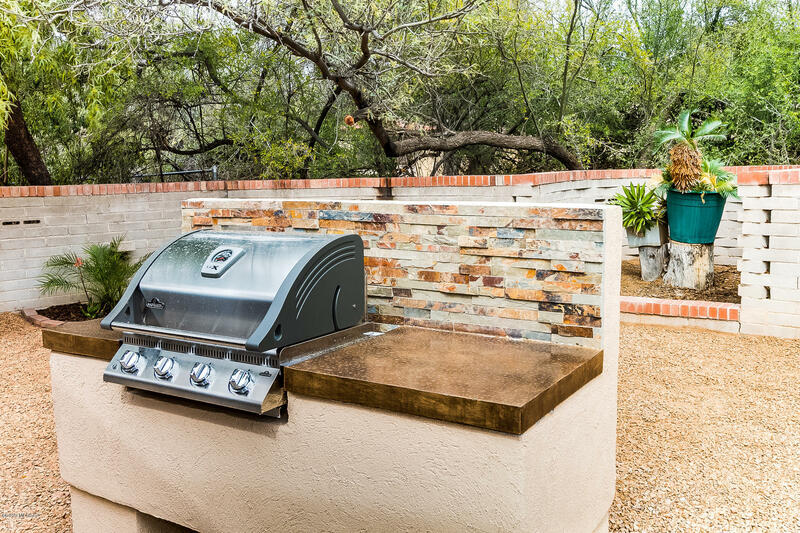 A perfect setting with Pusch View as a backdrop to your back new back yard. 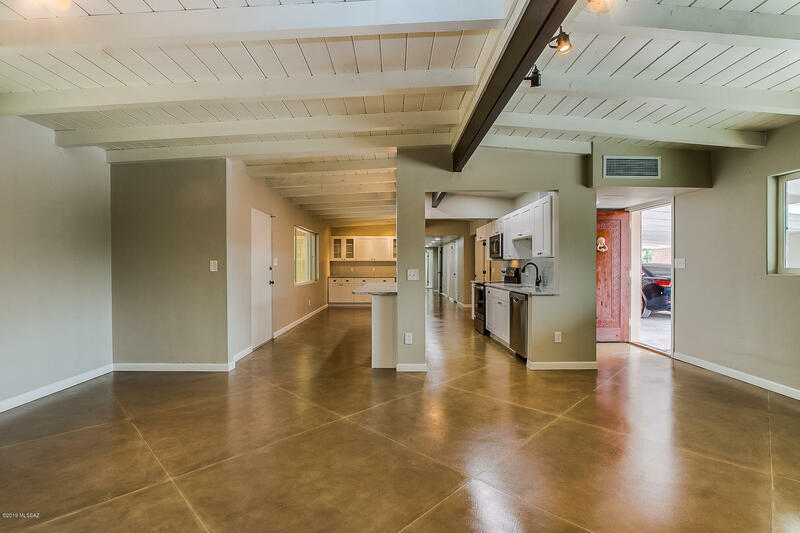 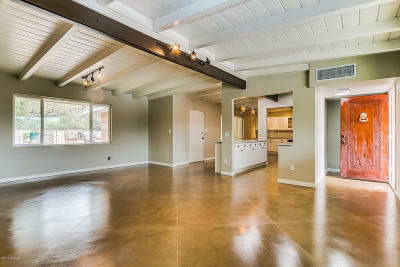 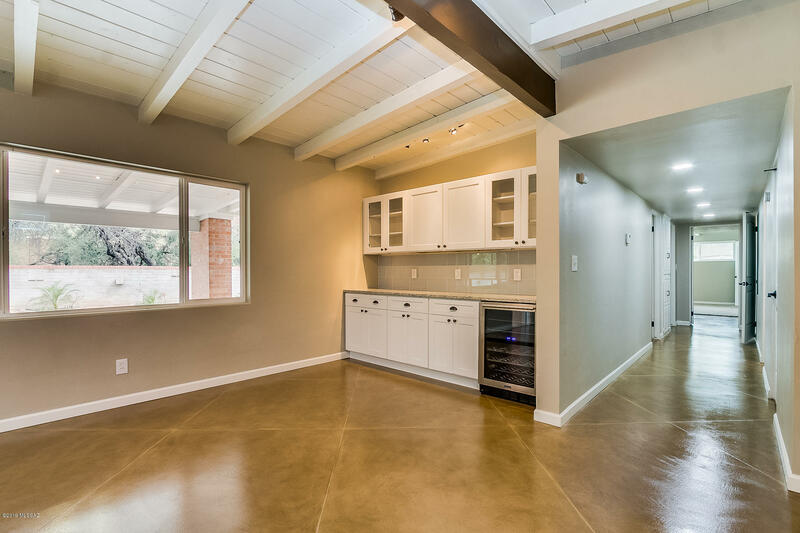 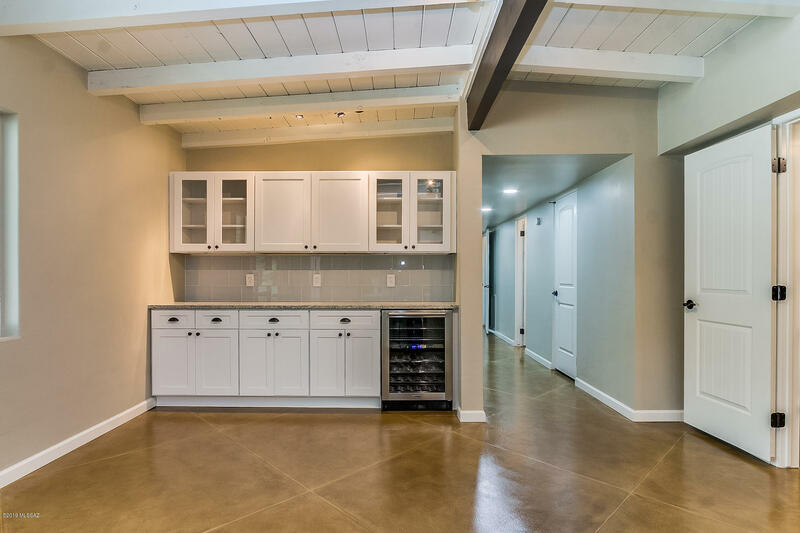 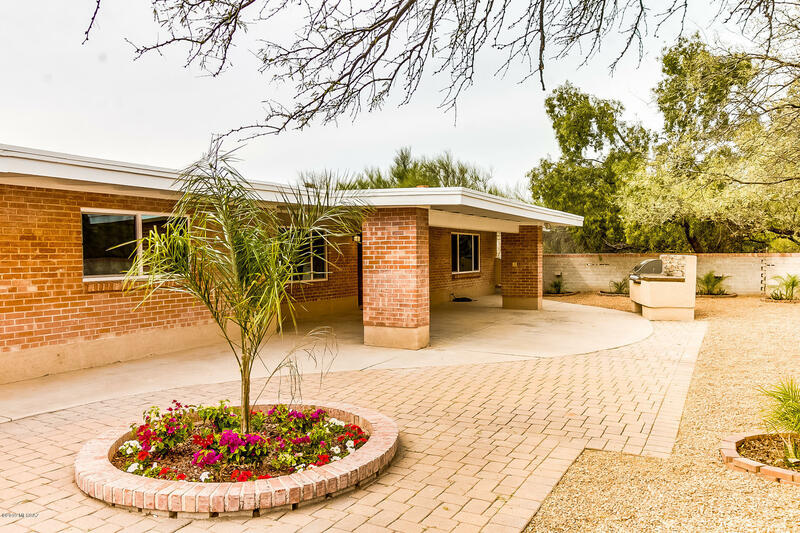 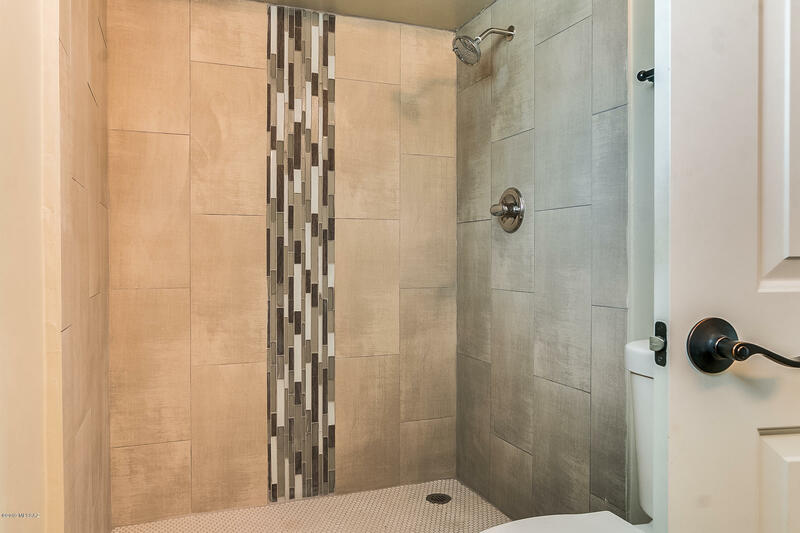 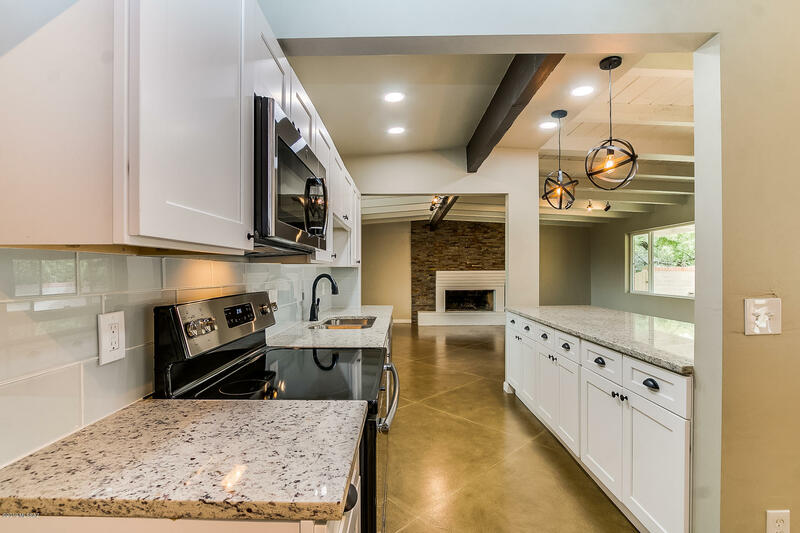 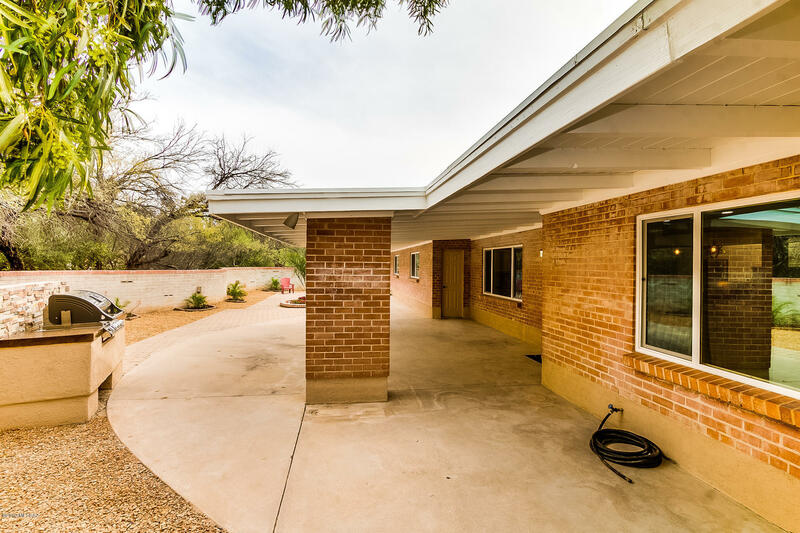 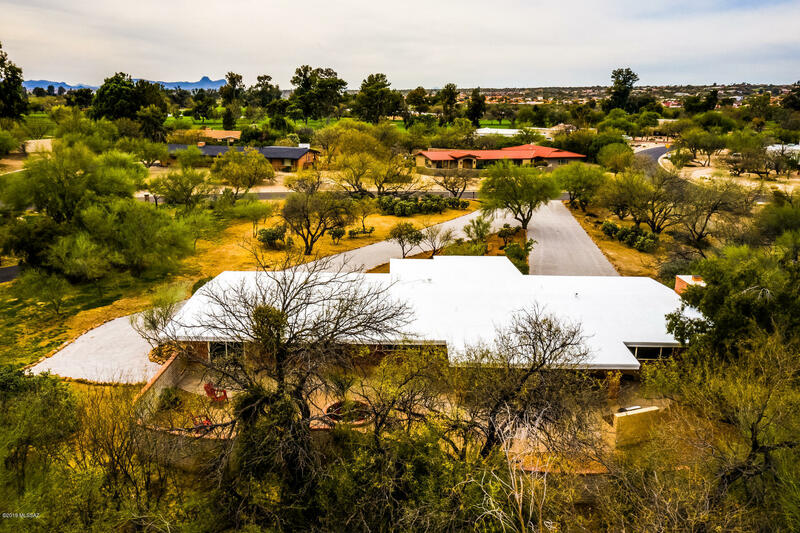 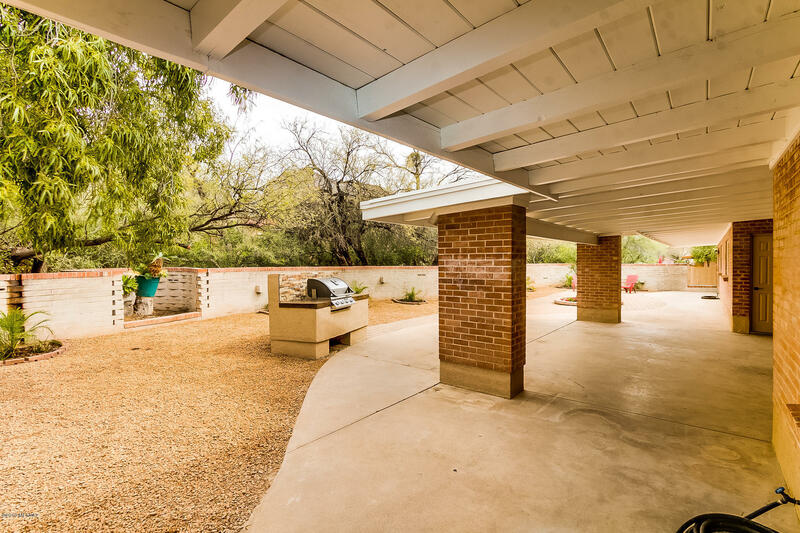 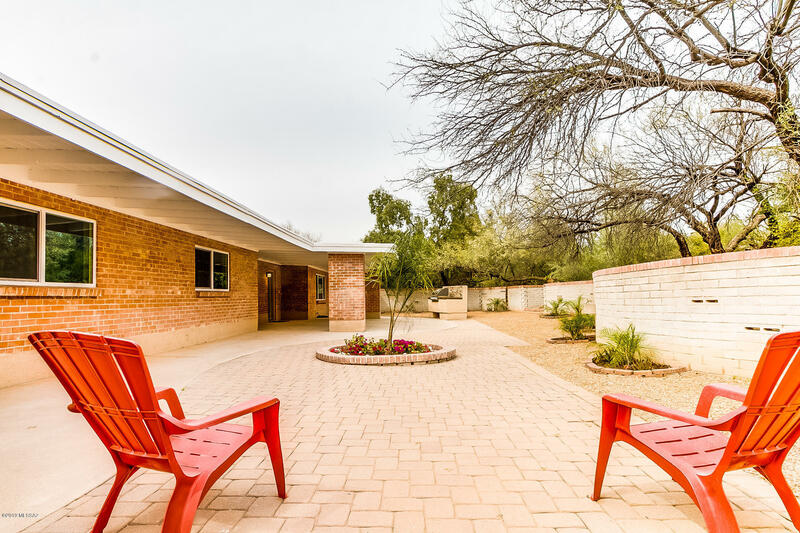 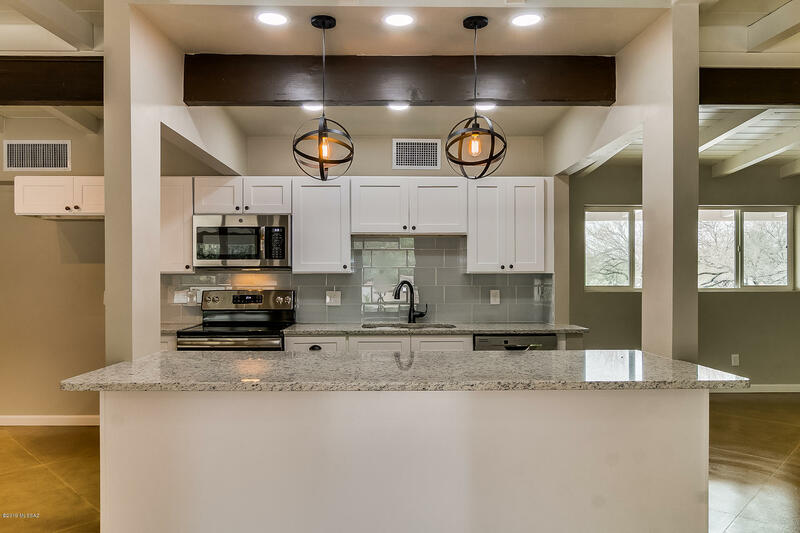 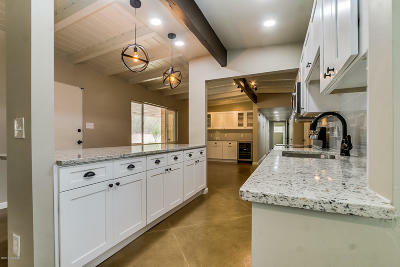 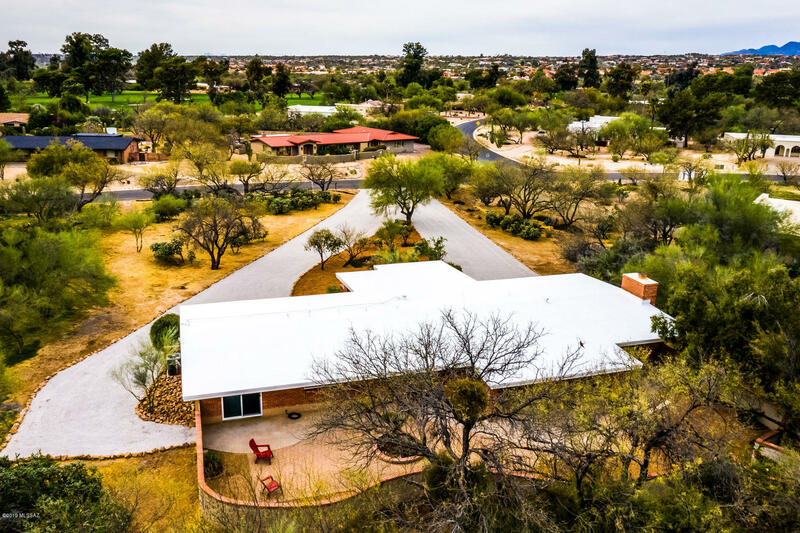 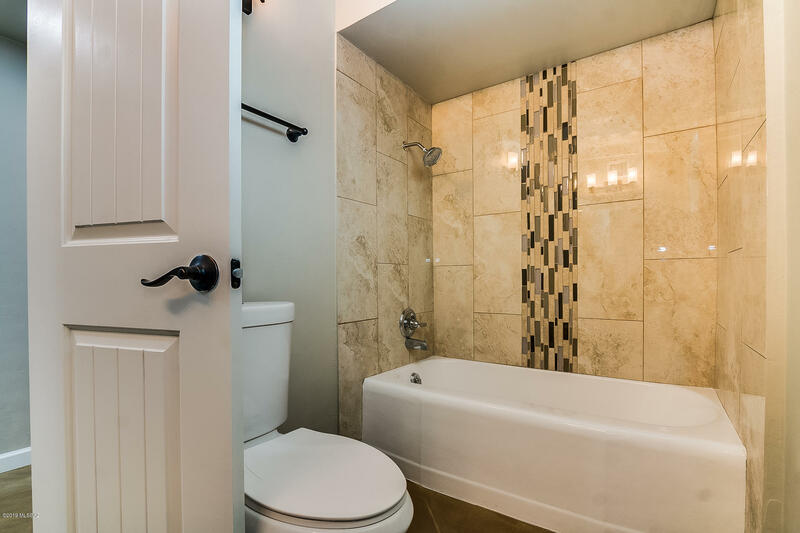 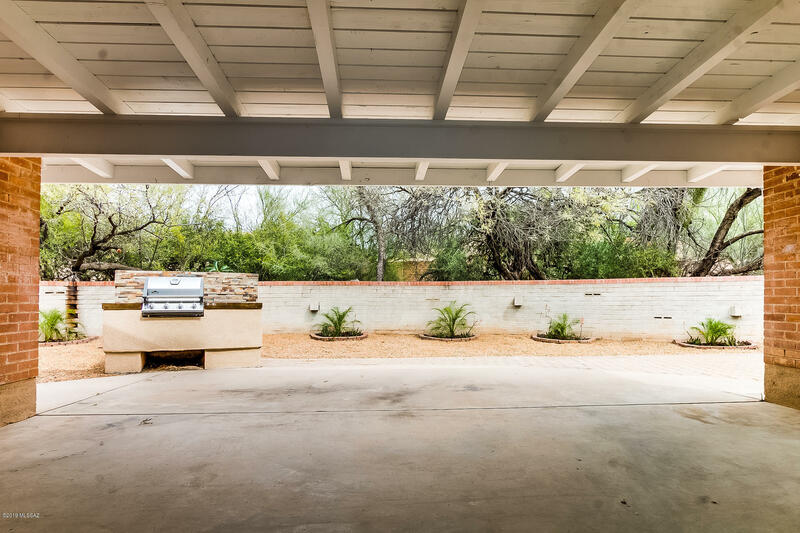 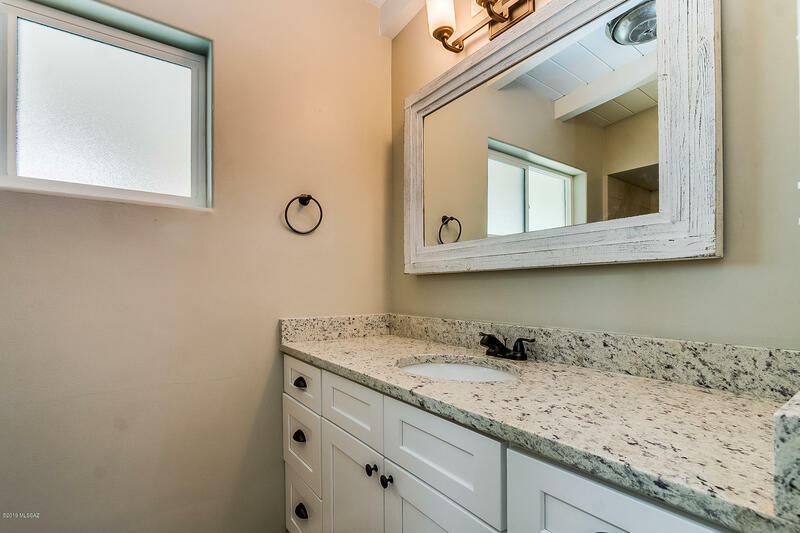 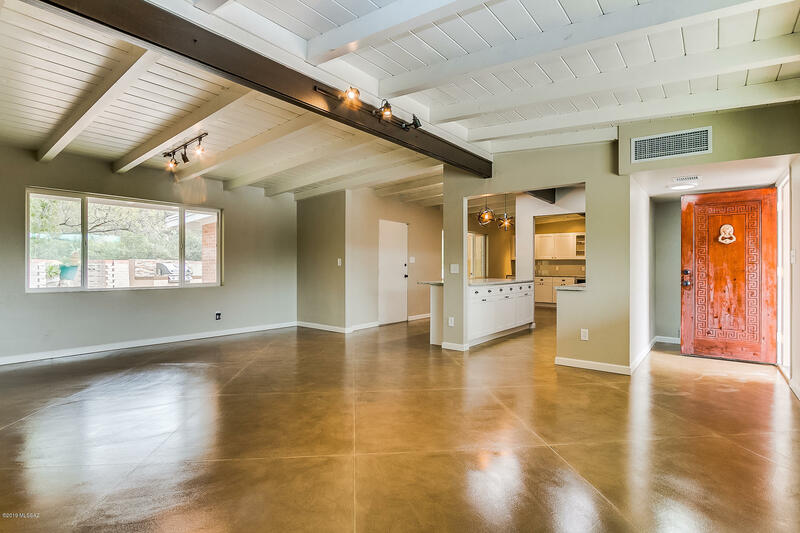 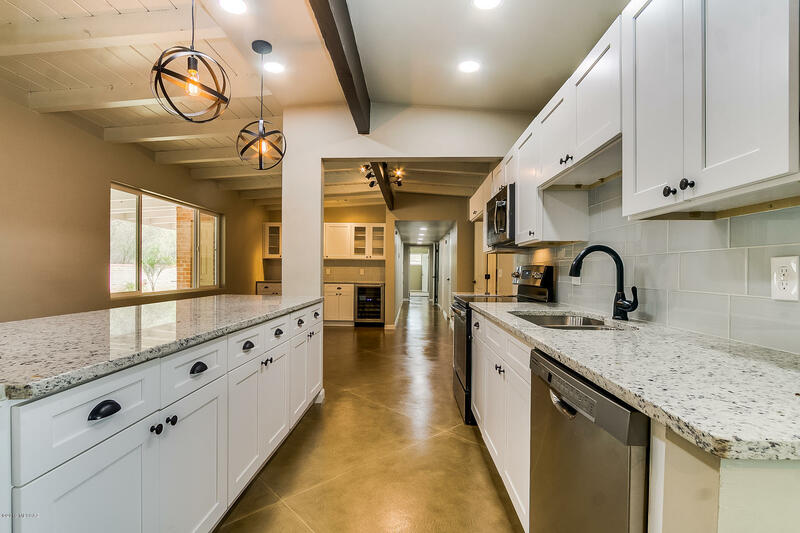 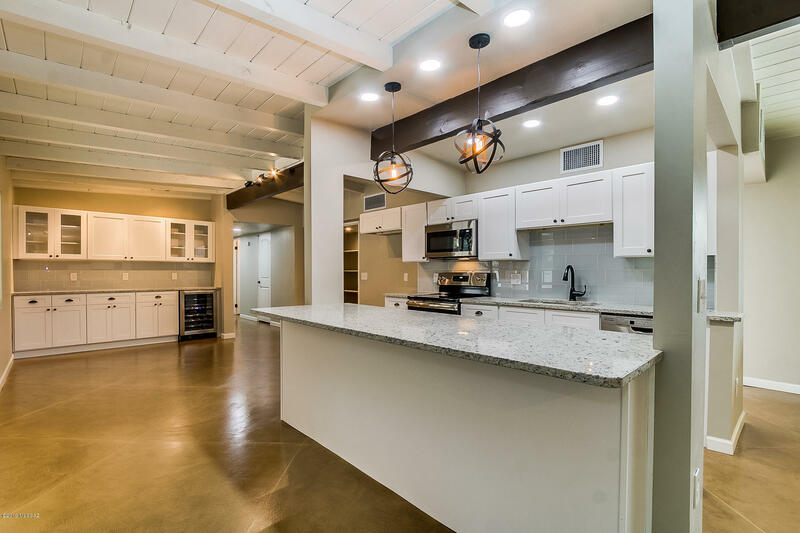 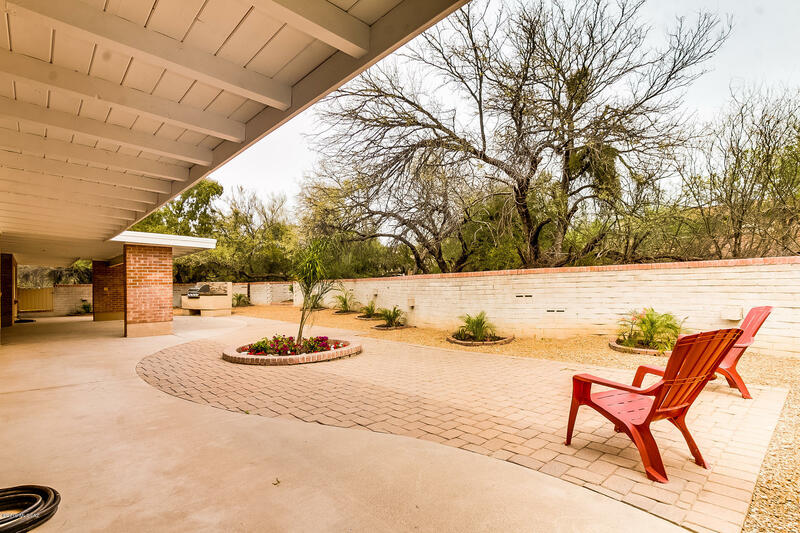 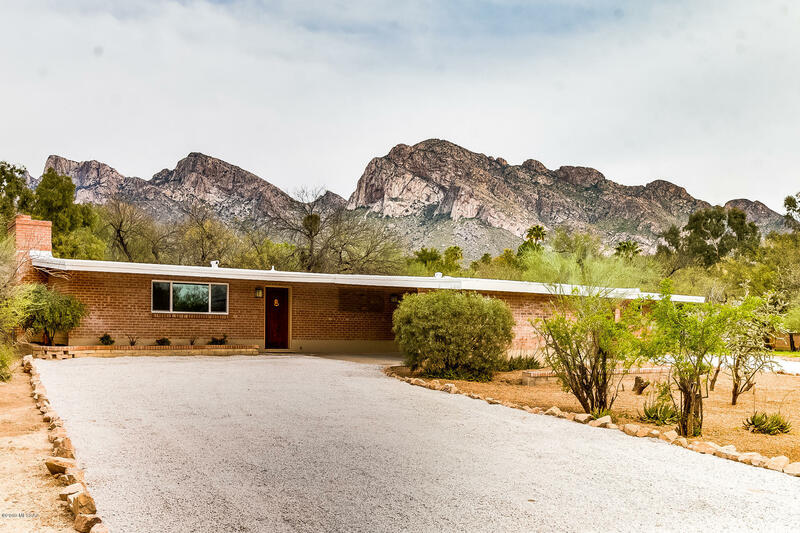 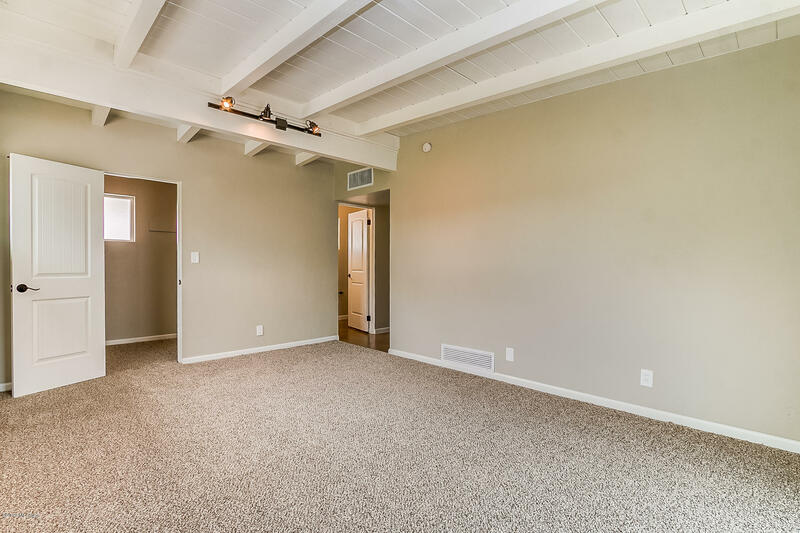 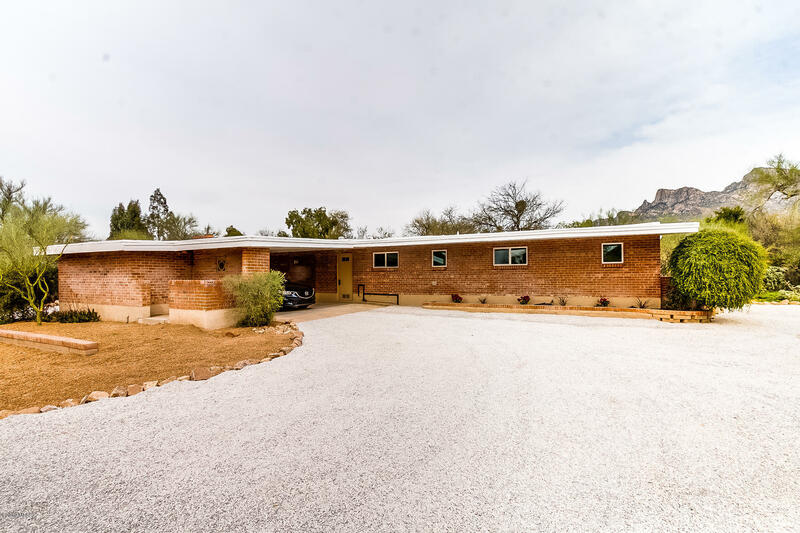 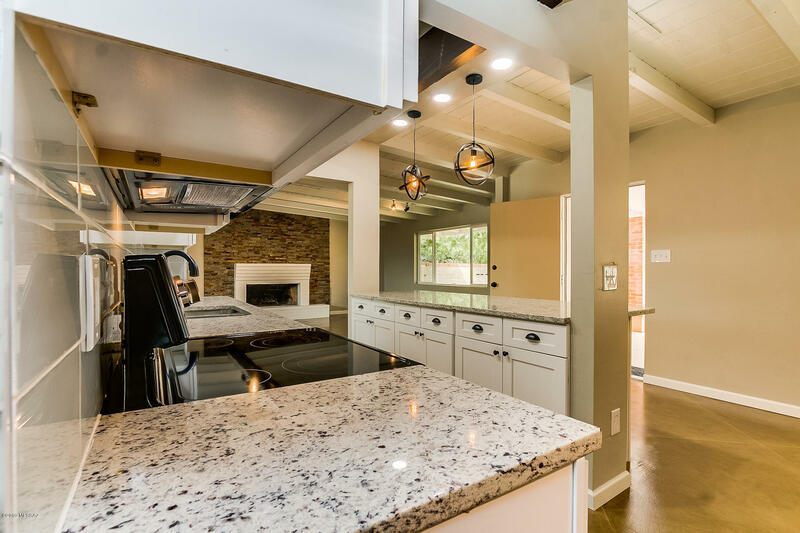 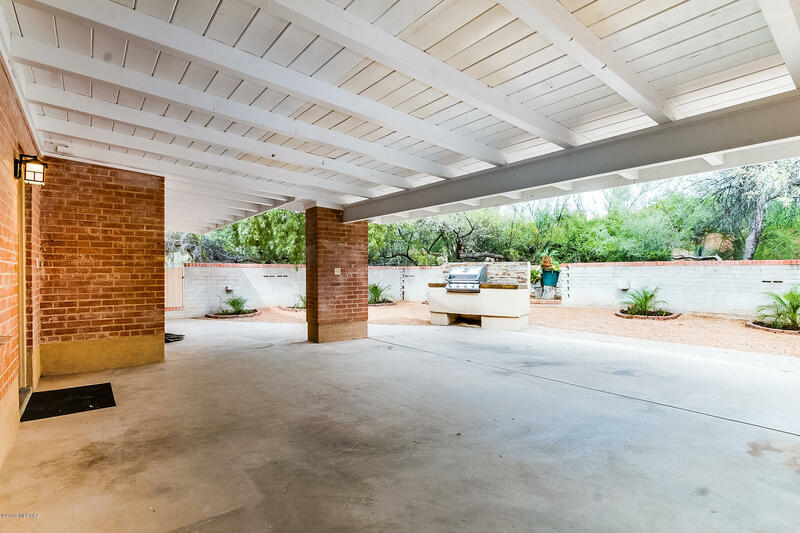 This home has been lovingly restored to better than new featuring a open kitchen with all new cabinets, granite counter tops, a huge pantry and beautiful concrete floors. 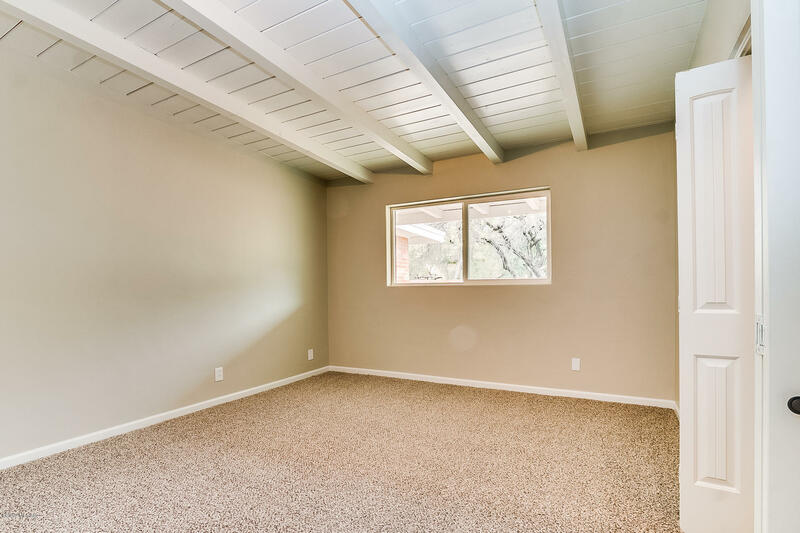 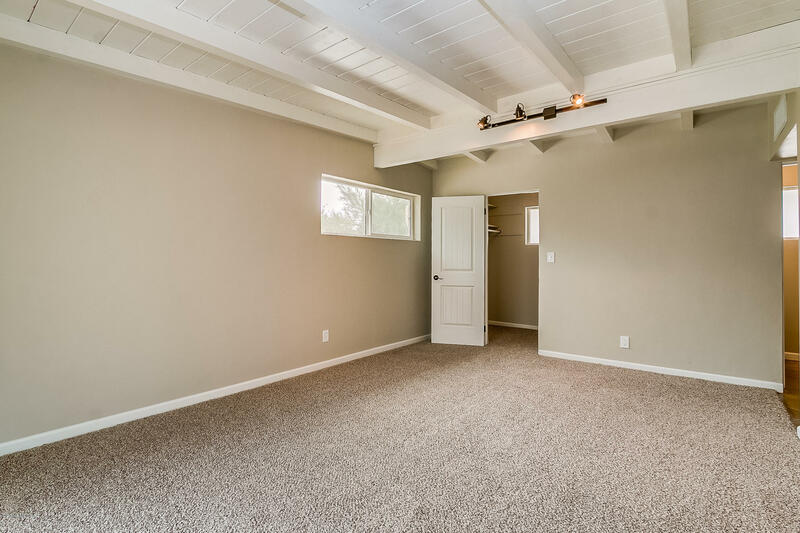 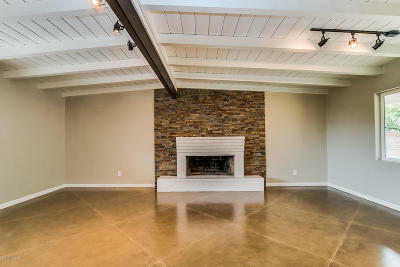 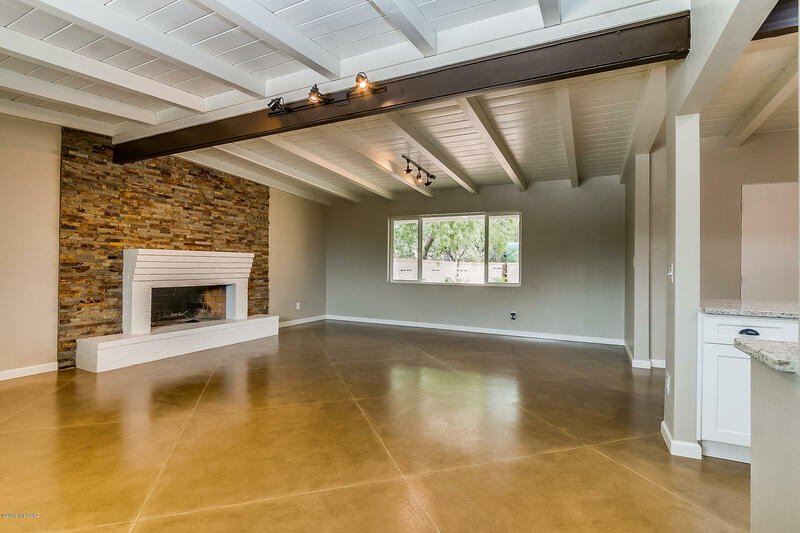 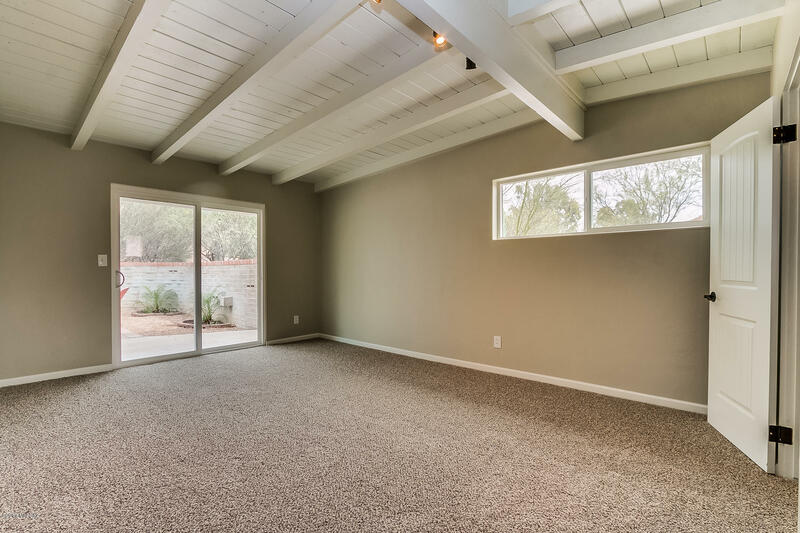 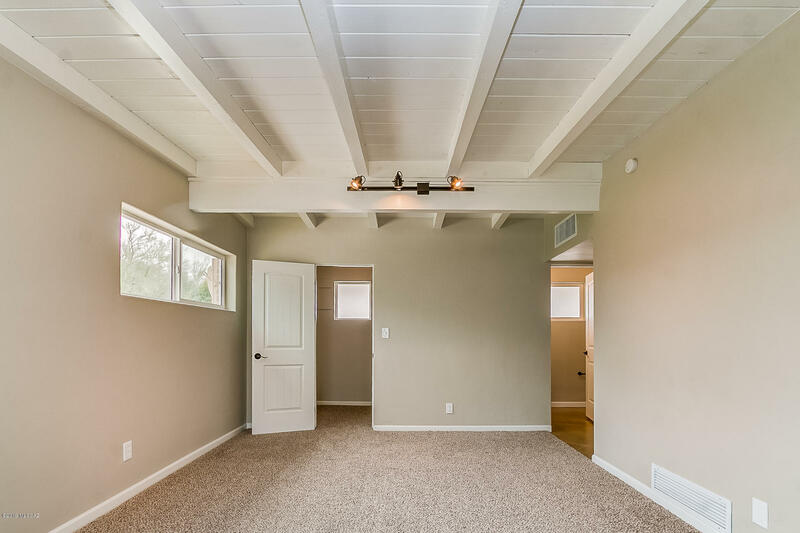 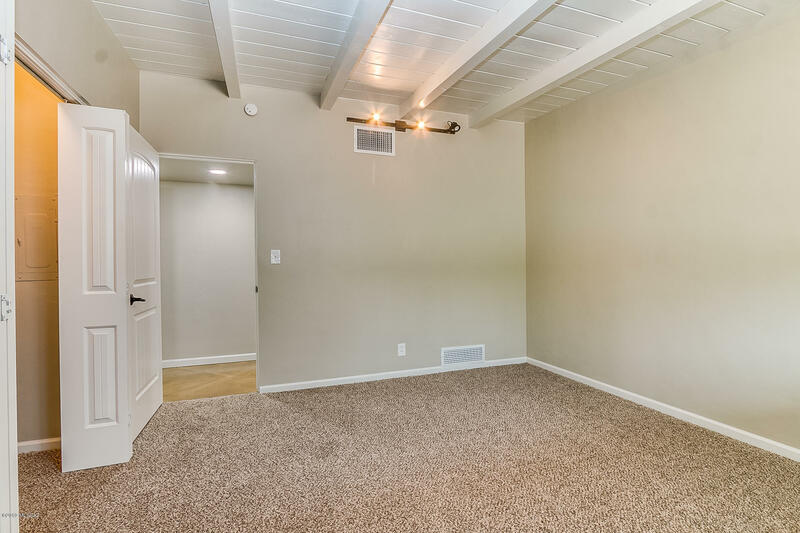 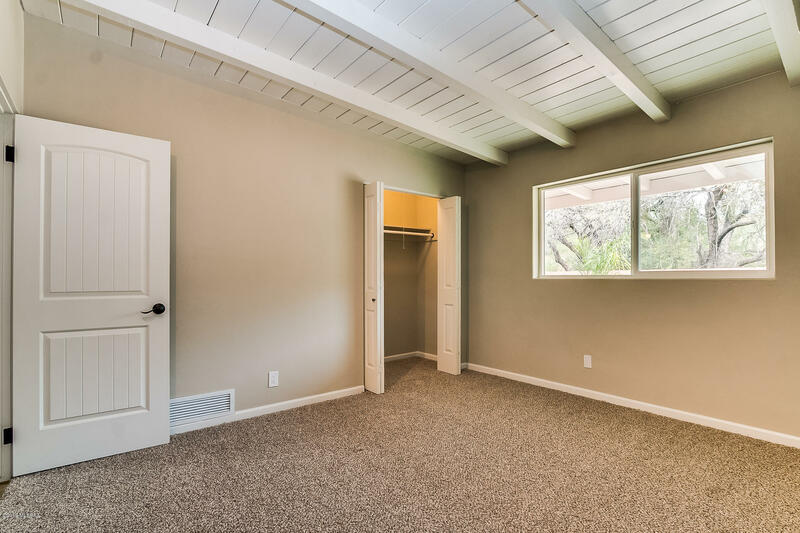 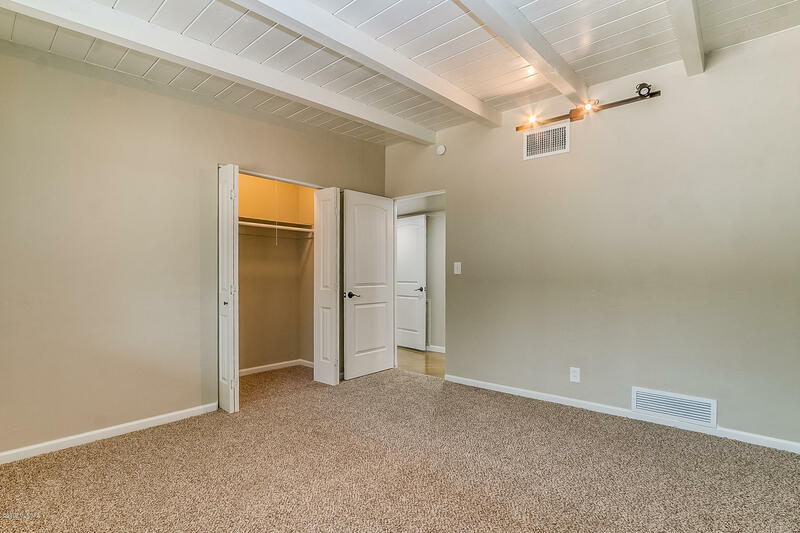 Wood beamed vaulted ceilings and cozy fireplace provide a wonderful ''at home'' feeling the minute you walk in the door. 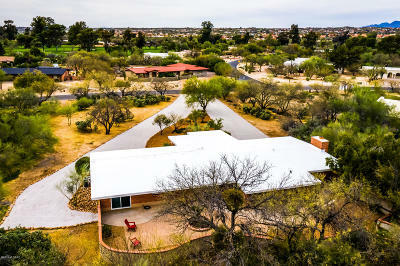 Nestled in on a .93 acre lot you will find this home to be a quiet retreat. 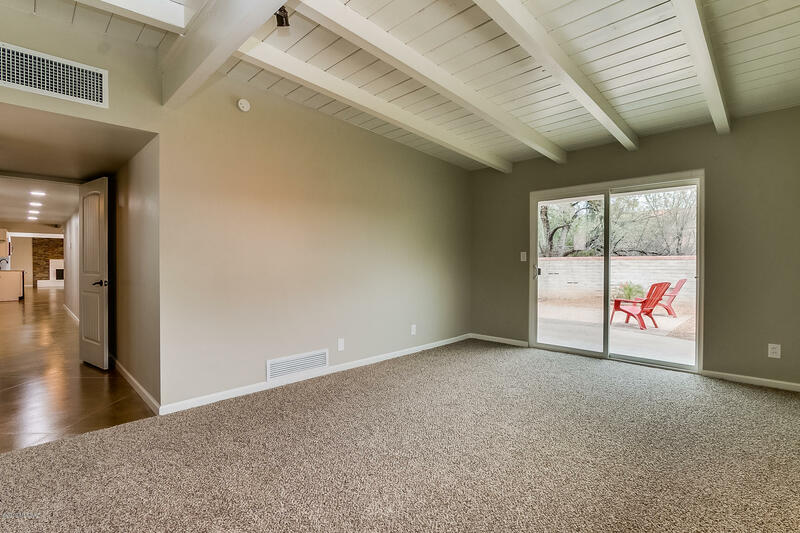 All new windows, new flooring, new cabinets, fixtures and super fresh and clean. 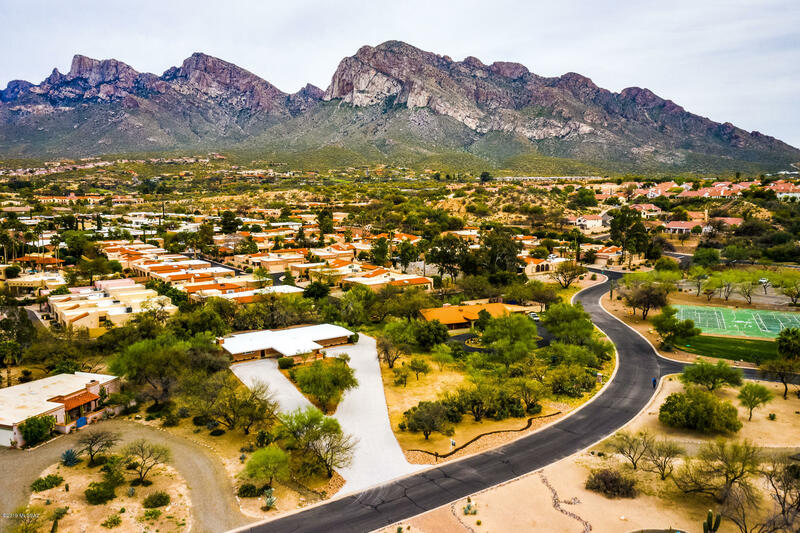 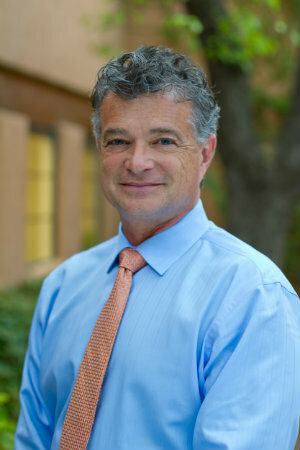 Community: Oro Valley C. C.